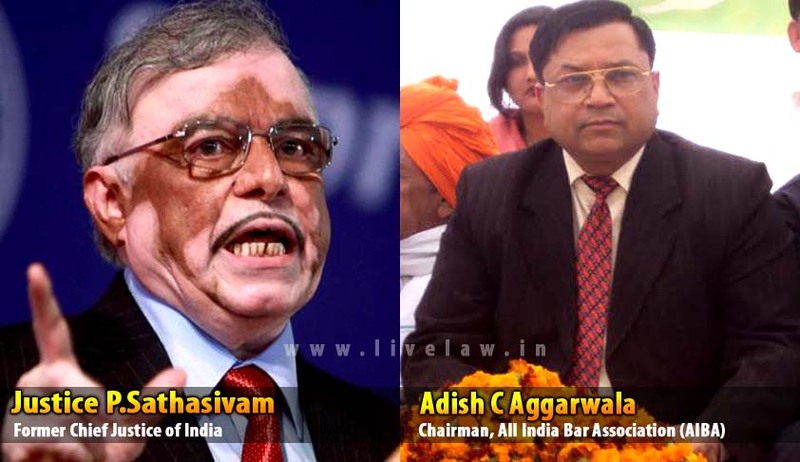 The lawyers' body (All India Bar Association) represented by their president Adish Aggarwala today withdrew from the Supreme Court its plea against moves for appointing former Chief Justice of India P Sathasivam for the post of Chairman in National Human Rights Commission (NHRC), saying its representation is being considered by the competent authority. A Bench headed by Chief Justice H L Dattu was informed by AIBA that it has been assured that its representation that all other previous CJIs, besides Justice Sathasivam, are also in the line of consideration for the top job of the NHRC. "I have sent representation to the government and it is considering the plea that all other CJIs should be considered," Adish C Aggarwala reportedly submitted before the bench which allowed him to withdraw the petition. In its petition, AIBA had also sought direction to the Centre to frame a transparent selection procedure and take consent from other available former CJIs who are below the age of 70 years. The petition had cited media reports suggesting that Justice Sathasivam, who is now the Governor of Kerala is being solely considered to succeed former CJI K G Balakrishnan as the NHRC Chief. It said there are other former CJIs--Justices R M Lodha, Altamas Kabir and S H Kapadia--but the Centre has not only considered but has already obtained consent of Justice Sathasivam for his appointment as Chairperson of the NHRC. Besides some allegations, AIBA in its petition had raised issue of conflict of interest contending that Sathasivam being a part of the executive arm should be kept away from the post of NHRC which receives complaints of rights violation against government. It had contended that the proper procedure as laid down under the Protection of Human Rights Act for appointment of the Chairperson was not being followed and undue preference was being given to one candidate.